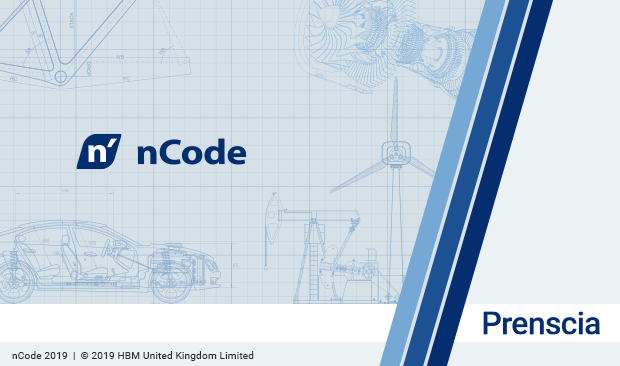 HBM Prenscia is pleased to announce the release of nCode 2019, offering improvements in functionality and performance for nCode DesignLife, nCode GlyphWorks and nCode VibeSys. This latest release focuses on additional capabilities to help engineers better understand test results and CAE durability simulations. The new Modal Assurance Criterion (MAC) analysis capability in nCode VibeSys enables users to compare measured vibration mode shapes with simulated results. “It is vital to have the right model dynamics to achieve a good fatigue simulation. These new capabilities help the CAE engineer understand if the dynamics match test results. They also help engineers select the right locations for sensors to get test results right the first time.” said Frédéric Kihm, nCode Product Manager at HBM Prenscia. Other fatigue analysis related capabilities in nCode 2019 include advanced manipulations of rainflow matrices in nCode GlyphWorks and new methods for simulating the fatigue of seam welds in nCode DesignLife. The Premium Materials Database now includes strain-life fatigue properties for additive manufactured titanium alloy (Ti6Al4V) in 5 different conditions. HBM Prenscia is proud to present the 2019 Prenscia User Group Meeting, featuring its leading software brands, nCode and ReliaSoft. This two-day, user-centric event features two dedicated tracks of hands-on workshops and customer presentations that will empower users to address real-world durability and reliability engineering challenges with more confidence. In addition, the UGM will feature the first live demonstration of new nCode technology that delivers powerful analytics to convert digitally streamed engineering data into actionable information.